FishDee catch up with Simon Nilsson from Engelholm, Sweden. 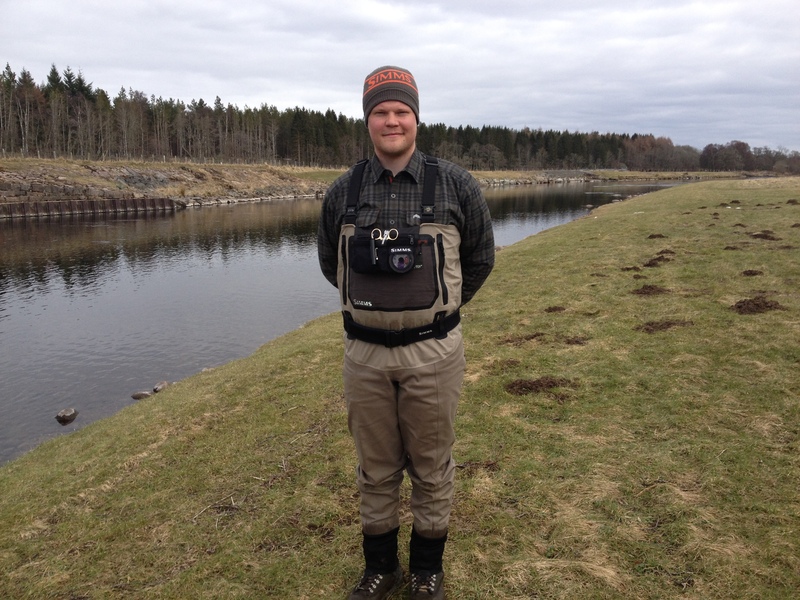 FishDee managed to pay a visit to Birse yesterday to catch up with an enthusiastic young fisherman from Sweden; Mr Simon Nilsson, from Engelholm. Simon has been on Deeside for the last 5 weeks learning about the skills required to become a top Ghillie from some of Deeside’s renowned Ghillies, Robert Harper, Brian Sim and Doug Murray. Simon is a student of the Forshaga Academy in Forshaga, some 20kms from Karlstad. Simon heard about the world famous River Dee many years ago when he was regaled with stories from many visiting anglers who came to Deeside in pursuit of our wonderful salmon and a number of television programmes. Simon had a dream that one day he would come to Deeside and fish for salmon.